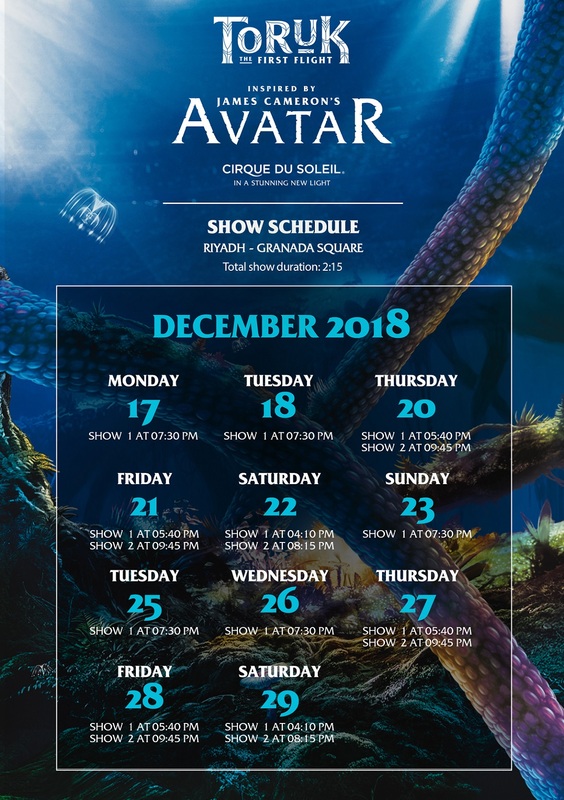 The General Entertainment Authority presents TORUK – The First Flight, a new Cirque du Soleil show inspired by James Cameron’s AVATAR and directed by Michel Lemieux et Victor Pilon, on Monday evening , December 17, and lasts for 12 days. TORUK - The First Fight is a show inspired by James Cameron’s famous movie AVATAR. The show takes you to the Moon “Pandora” in a visually stunning environment. The audience will experience the poetic story told through a new world of fantasy and discovery. With a blend of the latest eye-catching technologies, finest forms of artistic props, puppetry, and acrobatics, the show attendees will be presented with a unique mixture of two artistic visions through the imaginative world of James Cameron and the unique touch and identity of Cirque du Soleil in a breathtakingly captivating display of art in motion. 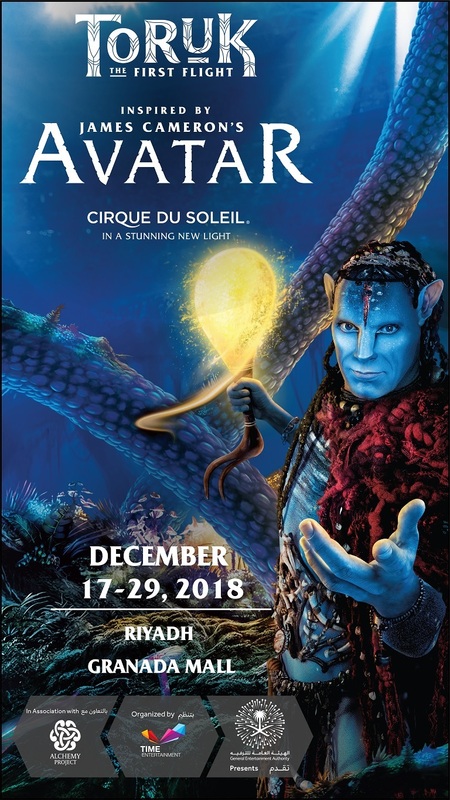 Toruk is the 37th Cirque du Soleil show since 1984. 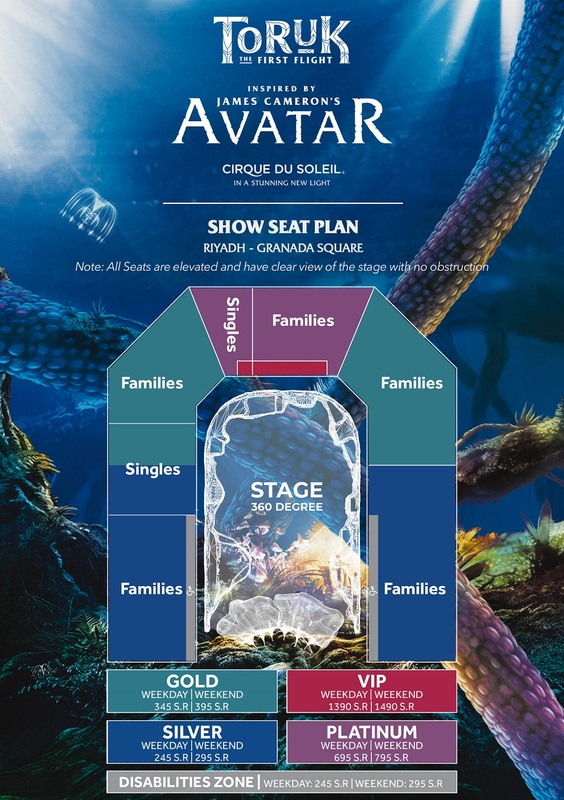 Over the past years, Cirque du Soleil has attracted over 190 million spectators in more than 450 cities across six continents. The show will be held at Granada Mall welcoming audiences from 17 – 29 of December.